i’m going through this stage where i’m missing all of my flint food. some things just can’t be recreated, like vanilla coke zero, red ox breadsticks and koegel’s hot dogs and bologna. i’m working on re-creating a few things. one of which is aida’s chicken salad. this comes kind of close! i have served it on a multi-grain with flax flat-out wrap made in no better place than saline, mi! i love supporting the michigan economy all of the way in nashville. 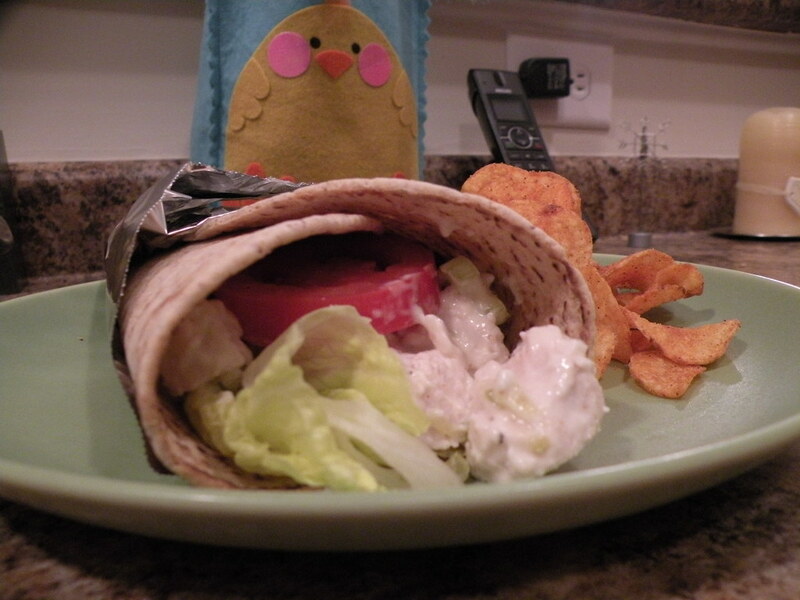 combine chicken with celery, onion, 1/4 c mayo, lemon juice, pepper, relish, seasoning and salt. add more mayo, as needed.